Staff from leading horticultural nursery, Johnsons of Whixley, have scattered yet more community spirit during their third volunteering project to help a worthy North Yorkshire cause. York Cares is a well-known partnership of the city’s leading employers committed to improving outdoor spaces at various community organisations across the city through employee-volunteering. 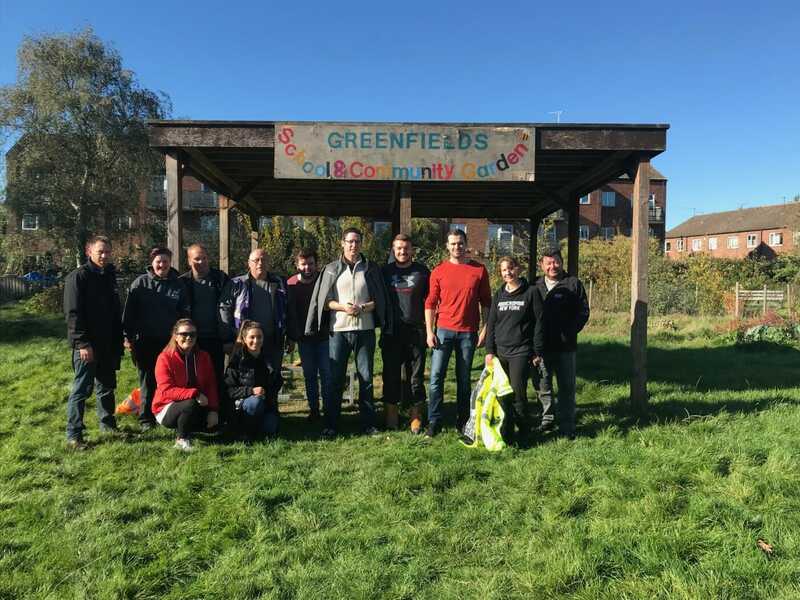 As part of their continued efforts to support community projects, Johnsons staff worked with York Cares to help with their latest renovation project at Greenfields Community Garden. The Haxby Road based site, which is heavily used by schools, scouts and residents, was in desperate need of tidying and maintenance to remain a safe place for visitors during the winter. Claire Horner, Laura Holmes, Jim Christmas, Darren Fawbert and Ellie Richardson joined forces with international property and infrastructure group, Lendlease, to assist York Cares as they cut back brambles, pruned fruit bushes, pulled up weeds and turned compost at the site. Thanks to the help and support of the volunteers involved, the community garden is now prepared for continued use throughout the colder months. Johnsons of Whixley is a family business first established in 1921 and one of Europe’s largest horticultural suppliers to the commercial sector.